Regular elections of the Board shall occur during the last week of league play (hereafter referred to as LWOLP) during the spring season between the hours of 9:00 am and 3:00 pm. cast shall be determined the winner. A. Elections for the positions of Commissioner, Treasurer, Women's Division Operations Coordinator and Public Relations Coordinator will be held during odd-numbered years. B. Elections for the positions of Open Division Open and Women's Assistant Commissioners, Secretary and Competition Coordinator will be held during off-numbered years. C. The Election Chair will determine deadline and election dates using the following guidelines along with the spring season schedule. The Election Chair will be the final interpreter of deadlines. 1) Ballot candidate nomination period opens 5 weeks before LWOLP. 2) Ballot candidate nominations due 4 weeks before LWOLP. 3) Announcement of candidate names 3 weeks before LWOLP. 4) Write-In candidate declarations due 2 weeks before LWOLP. 5) Announcement of write-in candidate names 1 week before LWOLP. D. If the LWOLP is rained out, elections shall be postponed and held during the rain out make up week of the End-of-Season (hereafter referred to as EOS) Tournament as determined by the Election Committee. A. A candidate for the Board of Directors of Softball Austin must have been a member of Softball Austin for a minimum of one (1) season (the fall season) prior to the election date. B. 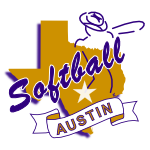 Specifically, a candidate for the position of Commissioner or Assistant Commissioner for either the Open or the Women's Division must have served on the Softball Austin Board of Directors in another capacity for one full year. A. Submit their name for consideration by submitting the Candidate Biography Form via email to the Election Committee Chair. B. Be nominated by other League members in good standing. C. The Election Committee Chair is required to notify the nominee that their name was submitted for position within 24 hours of being received. 1) The Nominee must either accept or decline their nomination within 24 hours of being notified by emailing the Election Committee Chair. Failure to do so within the prescribed time line will result in their disqualification from consideration from that nomination. Said person can be re-nominated as long as it falls within the nomination period. D. Write in candidates will be allowed and must declare their intention to run for office at least 2 weeks prior to the election to determine eligibility by Election Chair. submitted in writing (e-mail or otherwise). A. As each candidate declares his/her intent to run, the Elections Chair will post the candidates name on Candidates Page on the Softball Austin website. The Elections Committee shall convene as soon as practical thereafter to review candidates membership eligibility to run. B. If the candidate fails to meet the one (1) season and/or good standing qualification, he/she is deemed ineligible. The Election Chair will send an explanation of the Election Committees decision and name will be removed from Candidates page. elected position at the conclusion of election. Newly elected and appointed officers will take office on July 1.
thirds (2/3) vote of the Council at any Council meeting, provided that the officer in question is notified of the charges in advance of the meeting. He/she will then be given the opportunity to rebut the charges at the meeting. A. Any Commissioner who is absent from three consecutive regular Board meetings without good cause shall be automatically removed from the Board. B. When any Board member permanently becomes physically incapable of performing the duties of office, including death, a vacancy shall exist. 1. In the event that any disputes arise regarding the determination of permanent physical incapacity, the Board shall decide the matter. subject to approval by a majority of the Council. A. Any acting Board member appointed by the Commissioner shall serve until a successor has been duly elected. 1. In the event that a regular election is scheduled to occur within two (2) months from the date the vacancy occurs, the acting Board member shall serve until said election takes place. 2. Any special election commenced pursuant to this requirement shall comply with all applicable provisions of this Instrument of Governance.